ilendIT Book Lending Station - Iteam Resources Inc. Extend your library services where your building can't go! 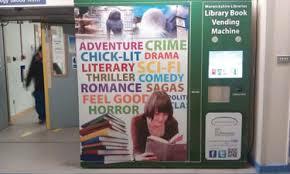 ilendIT™ is the latest product from D-Tech which dispenses items to library patrons anywhere in your service area. This could be in your local hospital, train or bus stations, government office buildings, community centers, malls and shopping centers; locations are only limited by your imagination! ilendIT™ can hold up to one thousand items consisting of books, CD’s and DVDs. ilendIT™ is available in modules ranging from 200-400 and 1000 items. ilendIT™ is ergonomic and environmentally friendly. Designed and manufactured with a low carbon footprint, the unit is also styled to meet ergonomic guidelines. Its modular design allows for easy add on options such as payments for usage and/or fines and fees. 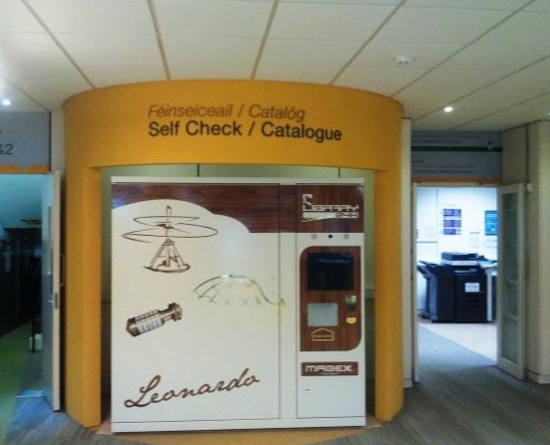 Special care has been taken to make lendIT™ easy for staff to load and retrieve items returned to the unit. Take a look at the ilendIT from the inside.